O.K. If you haven't heard of the title 'Take Me Home, Country Roads' by John Denver, then you clearly are not a Country Music fan. Released in 1971, by John Denver, this song is one of his most famous pieces and a classic staple of many amateur, country music singers. 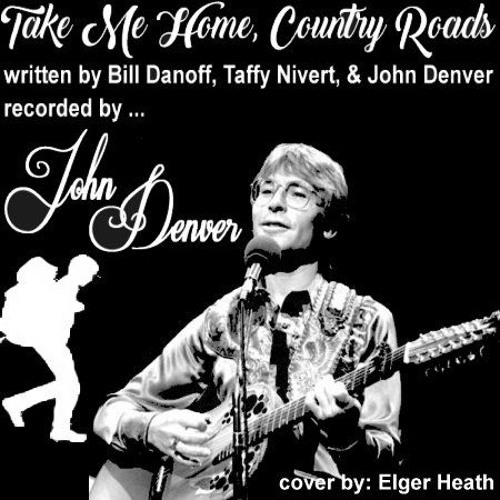 Written by Bill Danoff, Taffy Nivert, and John Denver, this is a beautiful piece of lyrics and the music is excellent, especially the change-up, near the end. Its not your traditional bar-room bawl-er, nor cowboy or trucker song but it shouts country all over it. The music is more modern than the old classics but its pure country at heart. I guess that's John Denver for you. Here is my simple cover of this iconic Country tune.